They are competitive, and they provide good quality. They are just polite and good people. I was satisfied with the selection and service. They were right there to answer any questions, and they delivered on the delivery date without any problems. I've already referred 4 friends to them. They are not custom built, but if can't afford to spend 10K, they're a wonderful bargain. Everything was quality, the selection, the delivery, and order placement. 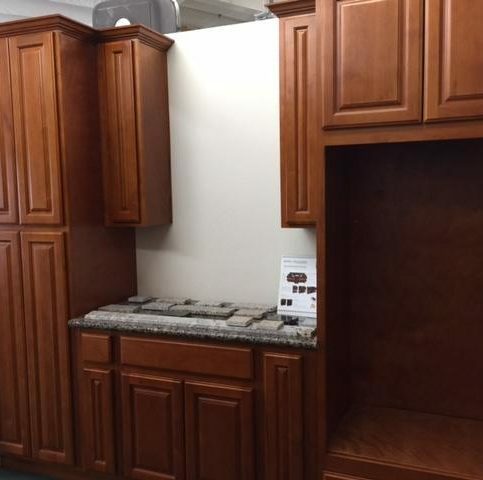 Cabinets 101 sells a wide variety of kitchen and bathroom cabinets at its Rohnert Park facility. 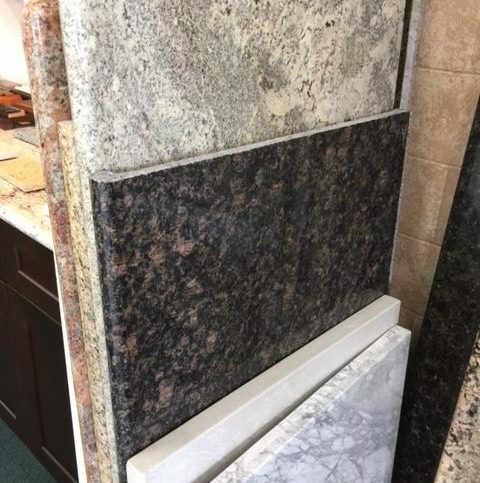 In addition to its comprehensive selection of wood cabinets, the company carries granite and pre-formed, man-made quartz countertops along with stainless steel kitchen sinks, Apron-style sinks, and porcelain-china sinks for customers who are taking on remodeling projects. The company is also happy to provide free estimates for those who bring in their project measurements. Cabinets 101 provided these cabinets for a customer’s home. 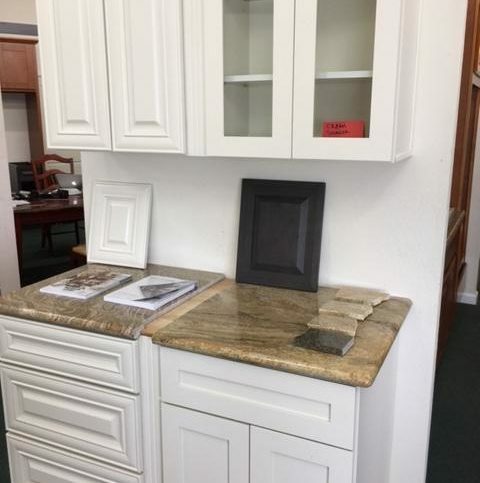 Cabinets 101 has been selling kitchen and bathroom cabinets at its Rohnert Park facility since 2014. 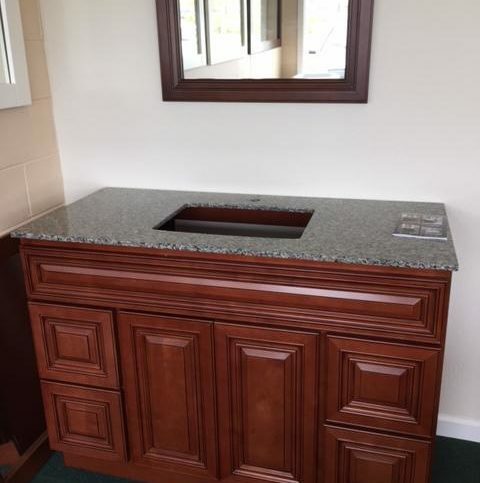 In addition to its wide-ranging selection of wood cabinets, the company offers granite and quartz countertops, stainless steel kitchen sinks, Apron-style sinks, and porcelain-china sinks. It also provides free estimates for customers who bring in their remodeling project estimates. 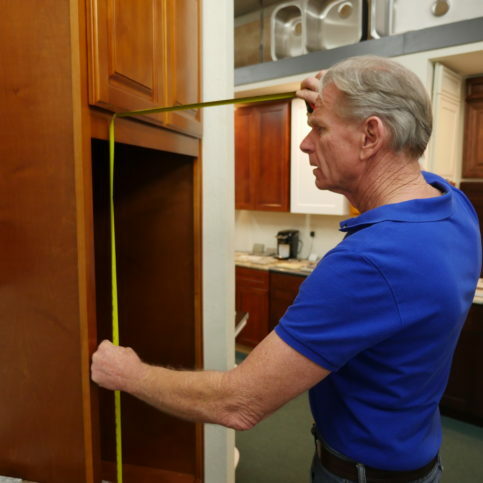 When buying new cabinets, invest a little extra to ensure long-term durability. 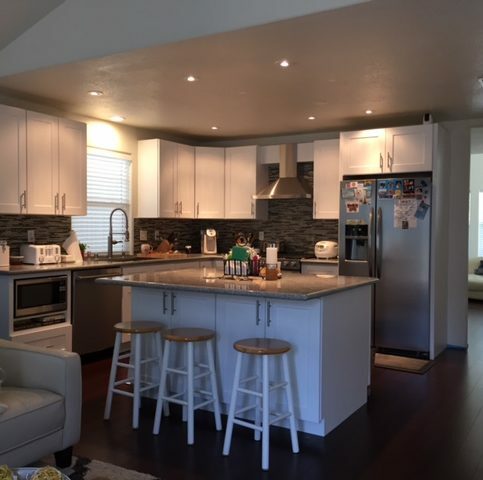 Q: Will you help me design my cabinets? Q: How far will you deliver cabinets? Q: How long will it take for my cabinets to arrive? 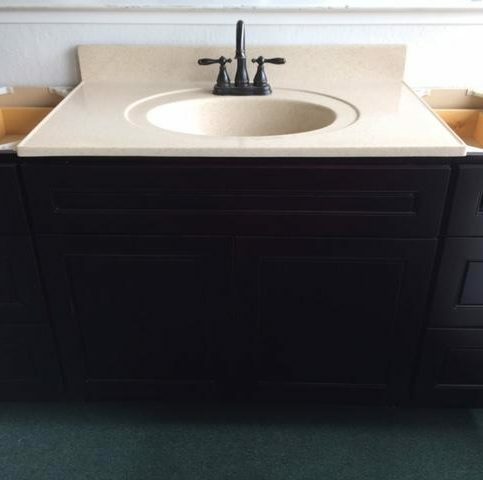 Q: Are your cabinets made of particle board or wood? Q: Do my cabinets come with hardware? Q: Do you sell anything besides cabinets? 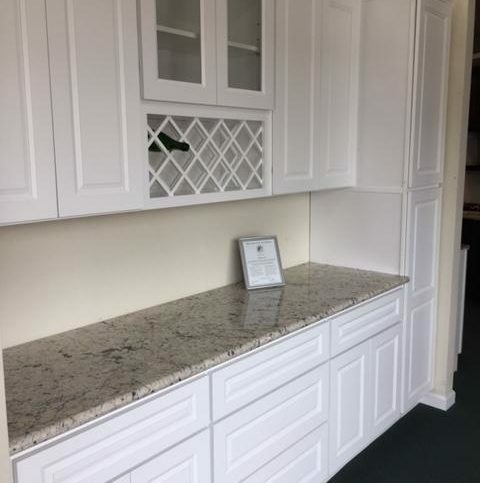 Stan Wahl is a 40-year veteran of the remodeling industry and owner of Cabinets 101, a Diamond Certified company. He can be reached at (707) 927-1024 or by email. Originally from Southern California, Stan now lives in Santa Rosa, where he says he appreciates the climate and the people. Outside of work, his favorite activity is winetasting in Sonoma and Napa with his girlfriend, Gerri. He also keeps up with his four grown sons, three of whom live in Sonoma County and one who lives in Alameda County. Q: What’s your favorite winery? A: I have a few: Nicholson Ranch, Ram’s Gate and Gloria Ferrer, all of which are in Sonoma. A: Both—I get up at 5am and go to bed at 11pm. A: Building toys like Erector Sets, Legos and Lincoln Logs. 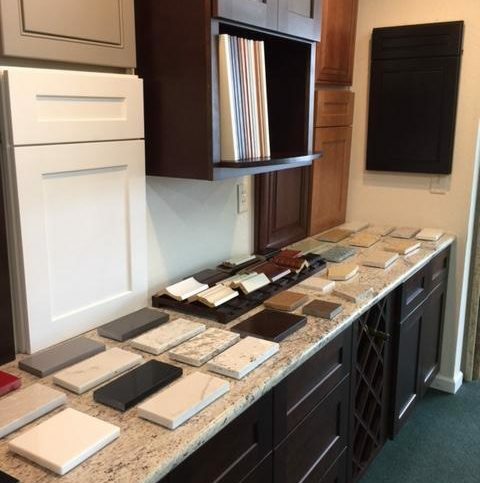 ROHNERT PARK — When shopping for new cabinets, consumers often get confused by the price disparity between seemingly identical cabinet models. This is because the differences in quality that constitute the price difference aren’t always apparent at first glance. 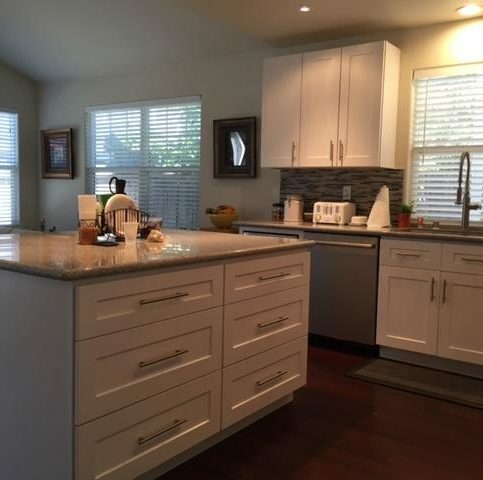 Take two craftsman-style cabinets that look almost exactly the same but have a 20 percent difference in cost. Each is painted white, made of wood and has soft-close hinges, which allow the door to close smoothly and quietly. However, upon closer inspection, differences begin to emerge. First, the doors: While the door of the less expensive cabinet is made of wood, it has a plywood center. You can tell by knocking on it—it has a more hollow sound than the other, which is composed of a solid wood panel. 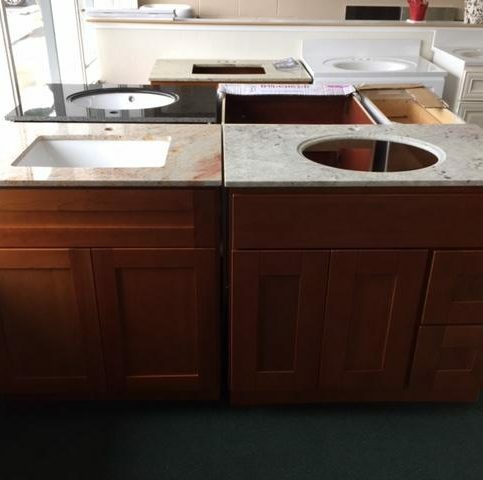 When you open each cabinet, you’ll find more differences. 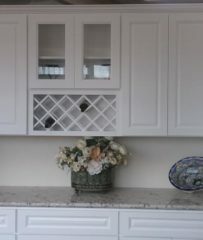 The less expensive cabinet only has one shelf, and the interior is lined with a vinyl coating intended to imitate wood. 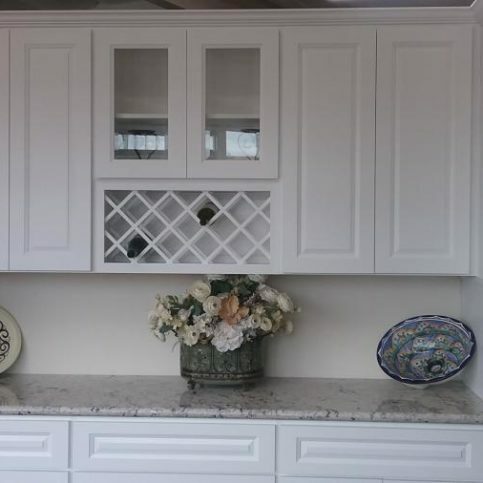 Meanwhile, the higher-priced cabinet has two shelves, and the interior is painted white just like the exterior. Altogether, these minor variations add up to a substantial difference in quality, which explains the difference in cost. 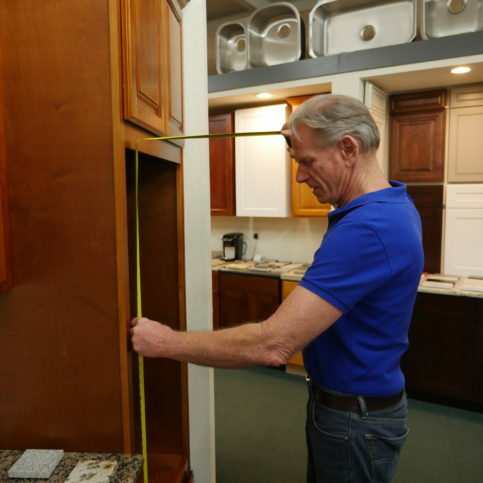 That’s why, when comparing one cabinet to another, it’s important to take a closer look and understand exactly what you’re getting before you purchase. 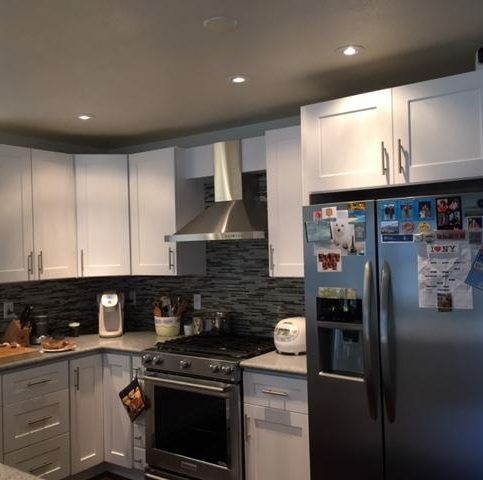 ROHNERT PARK — Host, Sarah Rutan: When comparing wood cabinets, it can be hard to spot subtle differences in quality. 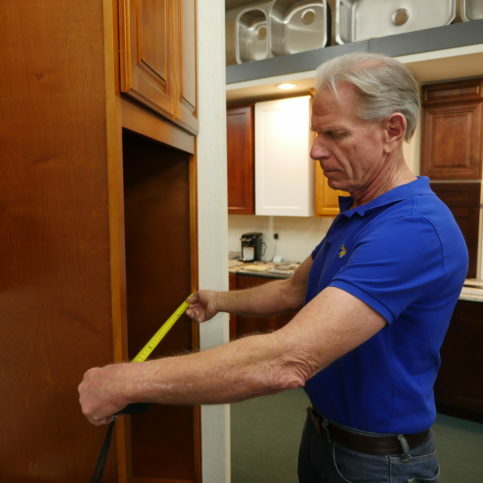 Today we’re in Rohnert Park with Diamond Certified Expert Contributor Stan Wahl of Cabinets 101 to learn more. Diamond Certified Expert Contributor, Stan Wahl: Okay, I’d like to take a few minutes to talk about the difference in quality of a cabinet. 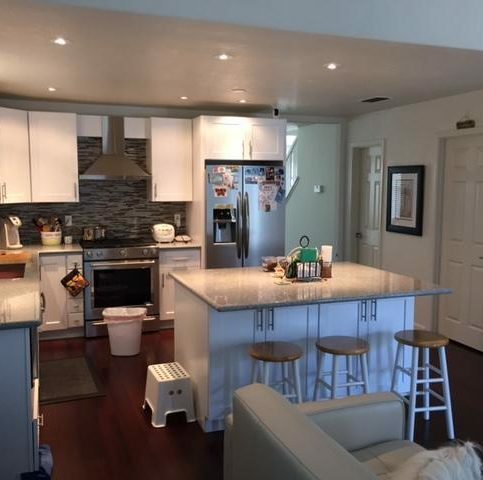 With these two white, craftsman style cabinets, they look exactly the same. They present exactly the same. There is a difference of about twenty percent over the one manufacturer and the second. Both of them have soft-closed hinges, which allows the door to close smoothly, quietly. But once you start looking at the cabinet you’ll see the difference between the quality. This one – the less expensive cabinet – the door is constructed of solid wood. It has a plywood center, which when you knock on it has more of a hollow sound to it. The cabinet itself has one, it comes with one shelf. The shelves are half-inch plywood. The bodies of both cabinets are plywood, but the interior of this is a vinyl coating, a melamine coating, that looks like wood. The other cabinet has the same look to it. The door itself has got a solid wood panel, which when you tap on it sounds more heavy. It comes with two shelves and the interior of the cabinet is painted white. So, completely white cabinet, better sounding door, versus one shelf, vinyl interior, and a plywood panel. Cabinets 101 : Average 8.6 out of 10 based on 95 unique customer surveys of customer satisfaction. The customer service was awesome. They provided everything that I needed. Stan was extremely helpful. He drew out the kitchen space, because I couldn't picture it. He then came out and marked it out in our kitchen. He was just so kind and went above and beyond. Two cabinets came in with damaged doors, so we called Stan, and he took them right back at no charge. He was just great. Stan was very present when we were talking to him. By that, I mean that he really listened to what we had to say and gave very thoughtful answers. If he didn't have an answer, he said so, and said he'd find out and get back to us. He was so easy to work with. I would definitely recommend them. My dad was helping me do a remodel, and we couldn't find the right kind of cabinet. Cabinets 101 had it and for a very reasonable price. Stan, the person who helped us in the store, was so helpful. I just can't say enough about his customer service. They were professional, friendly, and responsible. He was a really nice, friendly, and easygoing guy. I have no idea. Someone recommended them, and they took care of business. You receive better quality from a smaller company. Whenever I called and left a message, he called me right back. He also came over to my house. I was very happy. They were easy to work with. They did good work. In construction, you can have hang-ups, but the final product was well worth the wait. It was an all around good experience. Keep up the good work. I would recommend them. There was a delay in getting parts, because of the Chinese New Year, but other than that, it was good. I was very happy with the contractor they recommended who installed the flooring. He was the best contractor that I've ever worked with. Everyone was very nice to work with. I liked working with Stan. His prices are good. The cabinets came assembled. The quality is excellent, and they were very helpful. We were very happy with the service and the prices. I was happy that the cabinets were not compressed wood. Shop there, I was very satisfied with the service that I received. I'm working with Stan now. I like them, and they like me. Again the prices, he was knowledgeable and didn't use high pressure tactics. I will be purchasing more and plan to go back to them.